Many people are plagued by chronic neck or back pain. 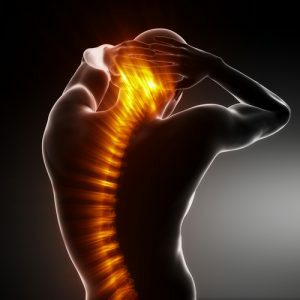 Sadly, a number of people don’t know that these pain issues could be resolved with chiropractic adjustments. Studies have found that seeing a chiropractor can provide pain relief and improve overall wellness. Of course, there are a number of other benefits to seeing chiropractors as well. Below, you’ll find a few of the benefits chiropractic adjustments can have on your health. Chronic pain and muscle tension can make it impossible for people to relax. Issues with the nervous system can also make it hard for people to calm down after a long day at work. A chiropractor can help patients to relieve stress, improving their overall health on the process. People will feel renewed every time they leave their chiropractor’s office. If you have back or neck pain, getting a good night’s sleep is all but impossible. Chiropractors will work to get your body functioning the way it should be. You’ll be able to get a full night’s sleep each night; aches and pains will never keep you up. If you’re immune system isn’t functioning the way it should be, you’ll probably get sick a lot. Colds, coughs, and other bugs can put a real strain on your body, and may even cause you to miss work. Researchers have found that chiropractic treatments can strengthen the immune system. If you see a chiropractor on a regular basis, you’ll be able to stay healthy all year long. A lot of people don’t have very good posture. They may have a natural slump, or might have a hard time standing up straight. When you see a chiropractor, your posture should instantly be improved. You’ll look more attractive and confident to other people. In addition, it’ll be able for you to sit comfortably at work. Posture is something that most people don’t give a lot of thought to, but it can have a big impact on your quality of life. As you can see, chiropractic adjustments can be very good for your health. If you’re struggling with chronic pain, or simply want to become a healthier person, schedule a visit with a chiropractor as soon as you possibly can. If you want to read further, you can see the top 10 researched benefits of chiropractic adjustments.